Fourth plays second in this high-pressure game in Group A but things could change quickly if the home team gets a win. Coming on the back of a win against the reigning Euroleague champions, the hosts with their 3-4 record will see no reason why they cannot follow up with a win against the reigning Eurocup champions. If Belgrade are going to haul themselves into the first couple of spots in Group A they will need Quincy Miller and Stefan Jovic to continue their fine form. The introduction of Jovic has had a massive impact on the Belgrade side, who now average an additional 20 points per game now that he is playing. That is a phenomenal impact from one player and there is no doubt that the Hala Pionir will be absolutely bouncing come Friday night as Crvena go all out for the win that will push them towards the Top 16 with considerable purpose and intent. The away team knows that if results go in their favour, they could be looking at a Top 16 place by the end of the night. If Khimki can grab their second road win of the season in this game and Strasbourg overcome FC Bayern Munich later on Friday, the return trip to Moscow will be a hugely enjoyable one for the Khimki fans. If Khimki are going to triumph, they will be looking towards Alexey Shved to deliver the points that he has managed so far this campaign. Tyrese Rice has also been in excellent form this season and if he plays well, the Moscow side could be in for a great night. 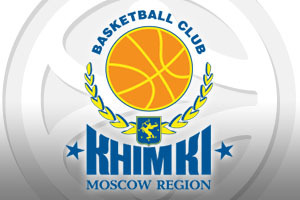 The bookmakers are making the away team the favourites and you can find Khimki Moscow Region at -5.5 at odds of 1.90, which is a pretty decent bet. If you are looking at the Over/Under market to add some fun to your Friday night basketball betting antics, look to go OVER 155.5 at odds of 1.90 in this game. Bet Now!